Your generous donation will then be automatically deducted starting on the date that you’ve signed up and will occur every month on the same day. You can cancel at any time and the support will not be charged for the next month. As an individual you can make a big difference. 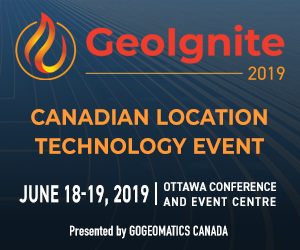 By signing up to make a small monthly donation you will be helping GoGeomatics enhance the quality of our content and free events. In order to support us please create an account or login.